For audis Windows CE not Android Turns on and then off. Think i have installed it wrong. Paid £290 on amazon few months ago. Been siting in the garage ever simce failed install. 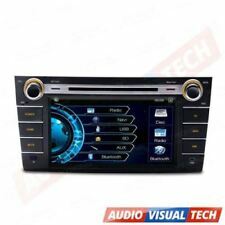 Head unit that can play CD's and acts as an MP3 player. 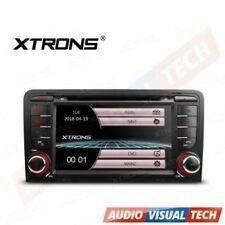 Car stereo for Suzuki Swifts between 2005-2010. Has 2 line marks on the front but apart from that in great condition. Model number 39101-62J20. 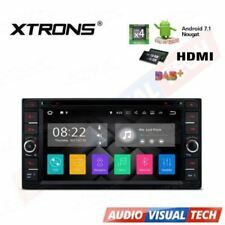 XTRONS® PX71RVT 7" HD Touch Screen DVD Player With Sat Nav Special for TOYOTA RAV 4 RAV4 XTRONS. XTRONS Unique and CozyUI. Built-in Radio Turner(RDS enabled). Custom Fit for Toyota RAV 4. Supported Toyota RAV4.